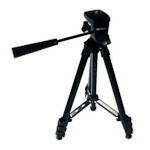 Nikon Tripods come in a variety of sizes from the 847 Full-Size Tripod and Full-Size Camo Tripod, a Compact tripod and the Nikon Binoc-U-Mount, a binocular tripod adapter. The Nikon compact tripod is small and lightweight for packing into the back country. 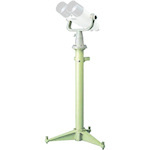 Featuring 4-section legs and durable aluminum construction. Leg sections have twist-locks.